Hotel Transfer Mallorca. As soon as you land at Palma De Mallorca airport, you’ll be hit by the warmth of the island. Majorca is an island where past has met present, boasting a rich cultural tapestry intertwined with a bustling nightlife and local cuisine you’ll only find here. 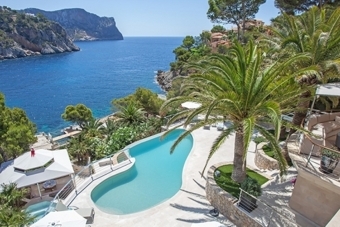 Our Hotel Transfer in Mallorca will bring you to your Hotel with scenic tours of the island, golf courses, water parks, and golden beaches in every direction, Majorca is a place that will appeal to those wanting not only to relax and recuperate but also those with a taste for adventure. 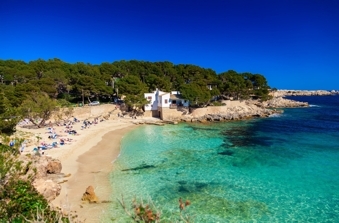 Majorca is one of the most popular holiday destinations in Europe, and with it being the quintessential example of a beach holiday, it’s easy to see why. The coastal lifestyle inhabits every corner of the area and its inhabitants, and even though the area has become highly commercialised to appeal to the millions of tourists that venture there throughout the year, it has neither forgotten, nor lost its cultural roots. Hotel Transfer Mallorca. Covering all of the island of Majorca from Palma airport is what we do best, our online rates are discounted so we are one of the lowest transfer services on the web. We provide taxis, minibus or coaches to all the resorts safely, including Alcudia, Cala D’or and Calas de Mallorca with competent drivers. Our fast online booking service with friendliest and dedicated staff to work with us will give you the best service. If you want to reach your holiday destination safely without any discomfort then choose us. We offer on-time and reasonably priced services to our clients. The benefits of a Hotel Transfer Mallorca are very popular and you can avail them all by booking Mallorca Airport Transfer for your next airport ride. We will pick you up on time and will take you without stopovers to your destination. Our price list you can find here under Transfer Rates.